Arise and renew your senses in a tastefully luxurious master suite that’s as unique and stimulating as the day ahead of you. Embrace your day surrounded in the beauty and elegance of finely crafted cabinetry. 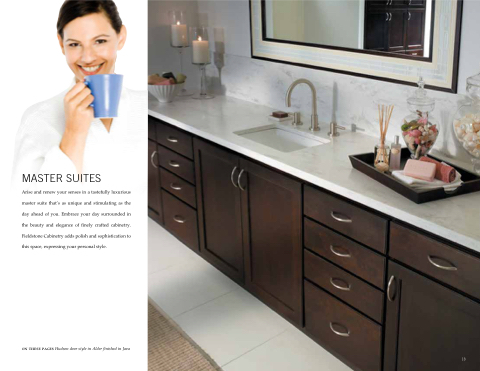 Fieldstone Cabinetry adds polish and sophistication to this space, expressing your personal style.